Kim Herbst - Illustration: Journalista! A BIG thank you (served with large helpings of flattery) goes out to Journalista, the news web-blog of the Comics Journal for mentioning me and my illustrations! I'm glad they enjoyed Kite River as much as they did! Here's hoping I make more actual comics in the near future. 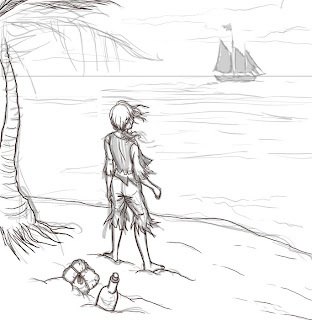 For art, it's more pirate sketches! ...And it will be that way for the next few weeks. Enjoy!